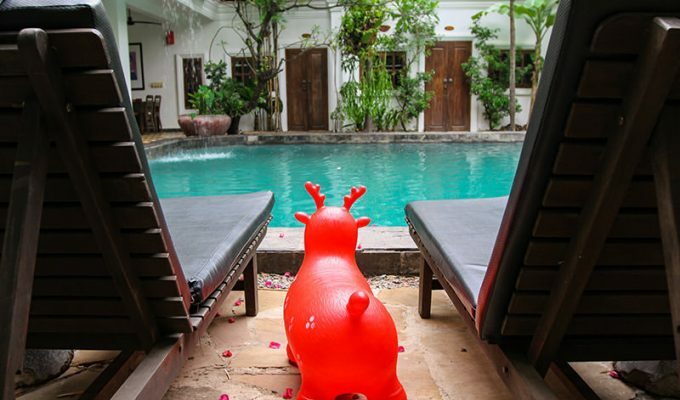 Siem Reap may be best known as a home to Angkor Wat temple, traditional Cambodian art, vivid nightlife and overambitious tuk-tuk drivers who will bug you with their constant ride offers. 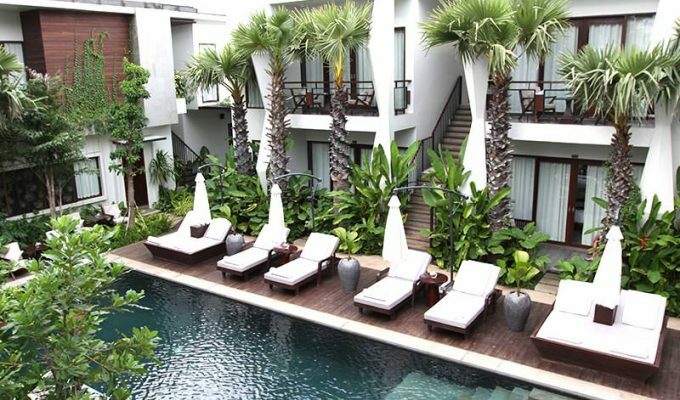 While Siem Reap tourism indeed rests on these attractions’ charm, the town is becoming more known for its gastronomy. 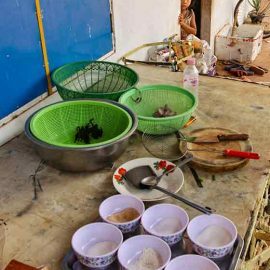 Siem Reap restaurants and respectful quantity of cooking classes will teach you all you need to know about Khmer cuisine. 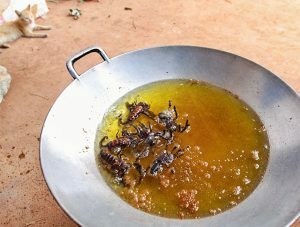 But some will give you a slightly unexpected answer to the question “What to eat in Siem Reap?”. 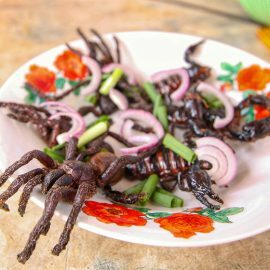 Here’s their mouthwatering answer: Bugs! 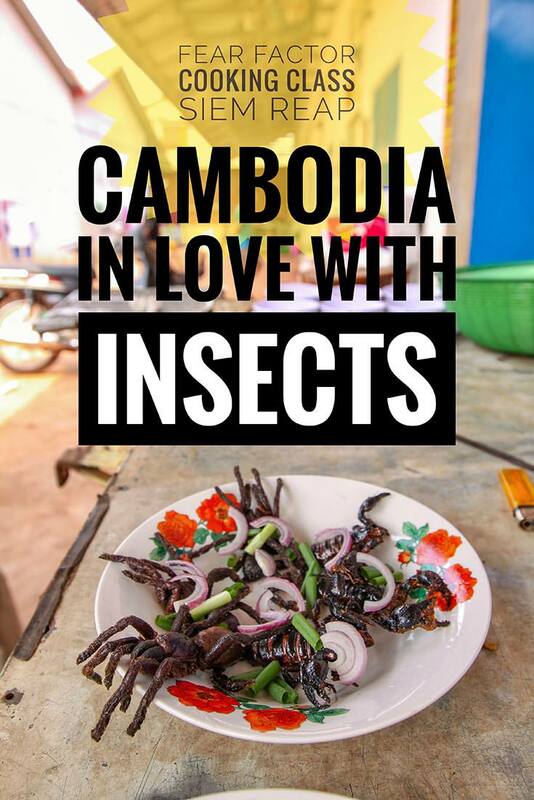 Cambodia loves insects! Fear Factor Challenge in Siem Reap will bring you on a cooking class that will transform the creepy crawlers into a delicacy for your taste buds! Relaxed attitude towards insects is introduced at an early age. Sing is only 3! At Heritage Suites, a recently renovated five-star hotel whose restaurant focuses on a fine dining experience, a tuk-tuk arrives to pick me up for a very different ride! Kimhouy Peou greets me. 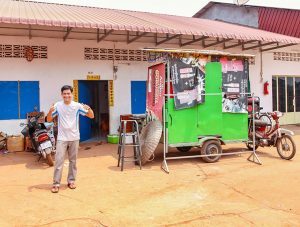 She’s a likable Cambodian woman in her twenties, with a fringe of hair framing her forehead and a broad smile revealing braces on her teeth. 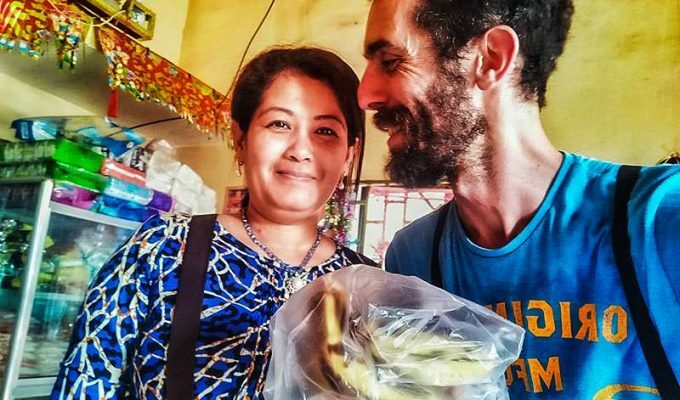 Kim is a program manager at Backstreet Academy, the platform that provides unique travel experiences in Asia. 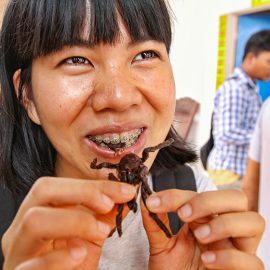 And she loves eating bugs! It sounds as if someone did an excellent casting for the job! When she starts to explain why she prefers tarantula to all other crawling food, a sparkle appears in her eyes. It almost feels as if this will be not just a gastronomical, but also an emotional journey! 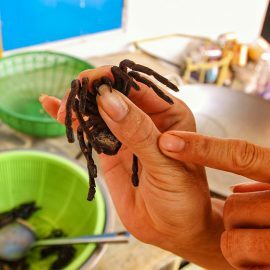 Fear Factor Challenge – do you dare? Our tuk-tuk heads South, towards Psar Kraoum Market. Roads become dustier, jouncing more frequent, tourists scarcer, and street life more authentic. One wrong turn in a labyrinth of houses, but we finally arrive. 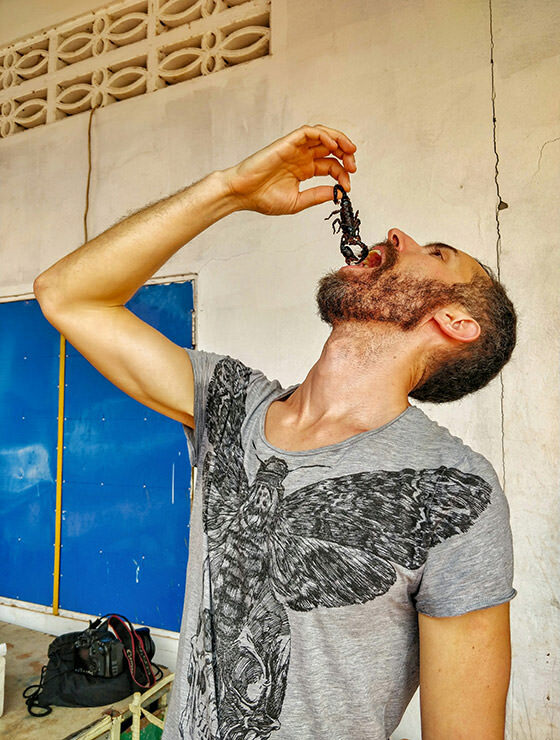 Backstreet Academy for mastering the insect cuisine – don’t judge a cook by his cover! A long tin-roofed house divided in smaller living spaces. In front of the doorway 06-D (mark printed on a piece of paper), a motor cart is parked. 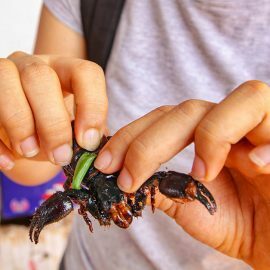 Every night, Ratana Ouch (33) will take his mobile kitchen to the Pub Street area, where tourists will be able to buy a tarantula, a scorpion or a set of eight crickets for two US dollars. If they only want to take a photo to boost their social media accounts, it will cost them 50 cents. 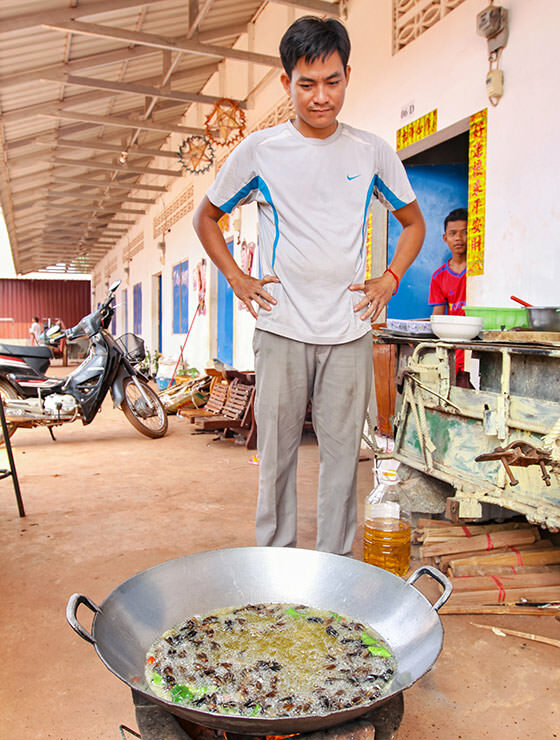 But here, in the Southern suburbs of Siem Reap, Ratana reveals his chef secrets in a cooking class. 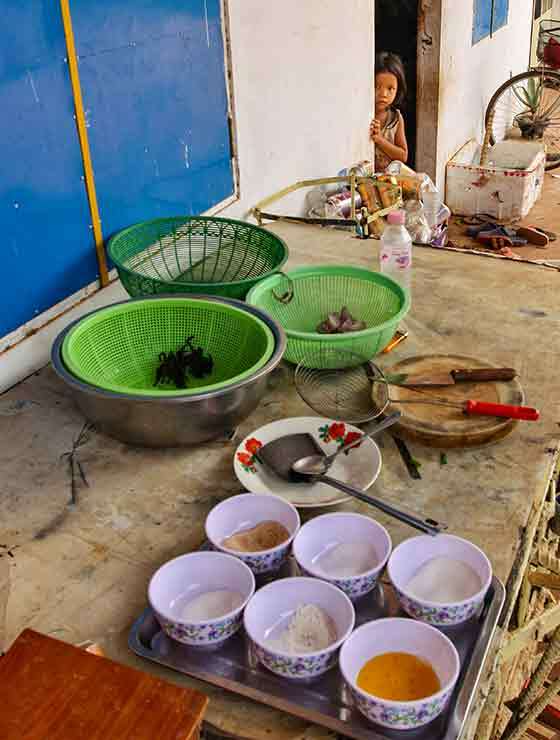 On a worn out improvized table resting on some rocks, which could easily be mistaken for some table in a car mechanic workshop, the ingredients are already prepared in bowls. With the magic of a recipe, they will become a crunchy brunch. 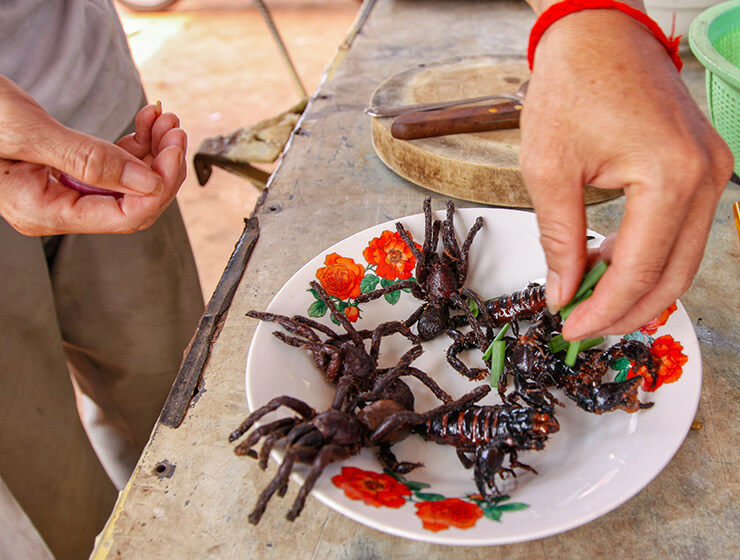 On today’s menu: crickets, scorpions and tarantulas! 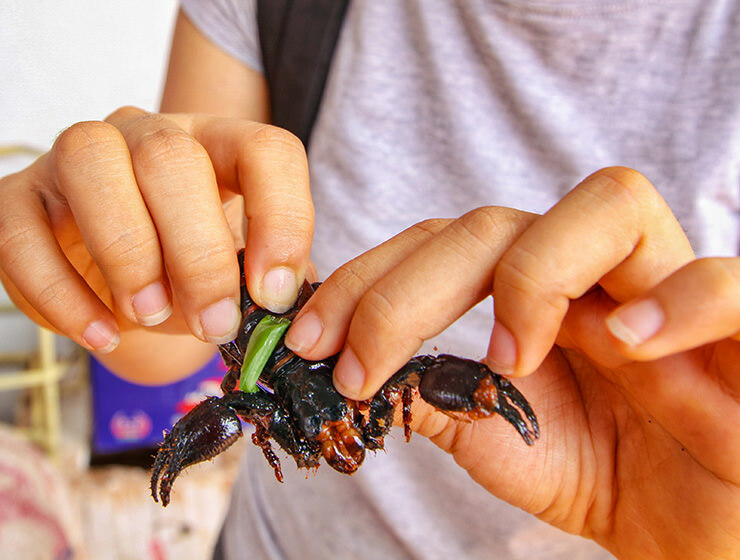 Named after the famous American dare TV game show, Fear Factor Challenge expects the participants to confront the awkwardness of digesting insects. 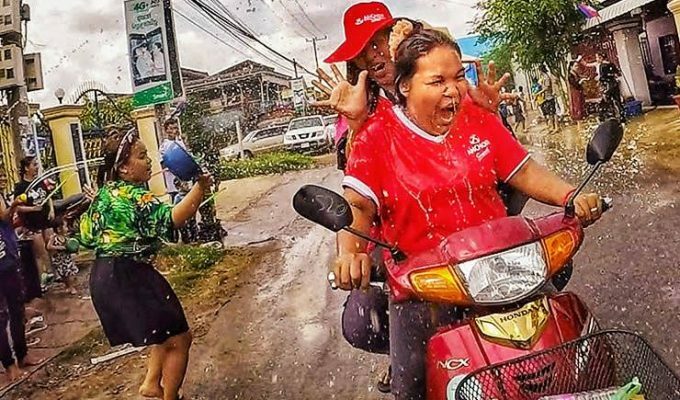 Ratana’s neighbors already know what’s going to happen and, sooner or later, they all come out to see today’s foreigners who are about to make squeamish faces. What we eat is always a product of habits. Our reaction to what we find too dirty, threatening or just inappropriate to eat are adopted in the cultural context in which we grow up. 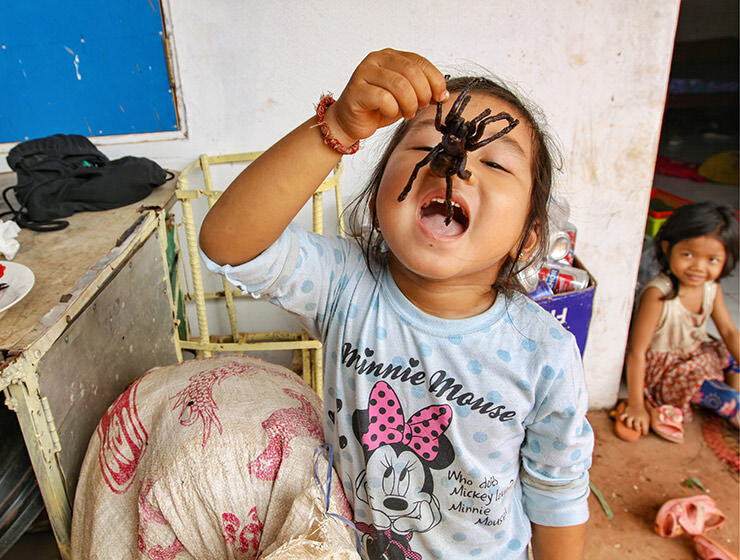 Just like Sing, Kim also adored tarantula’s meat since she was a toddler! 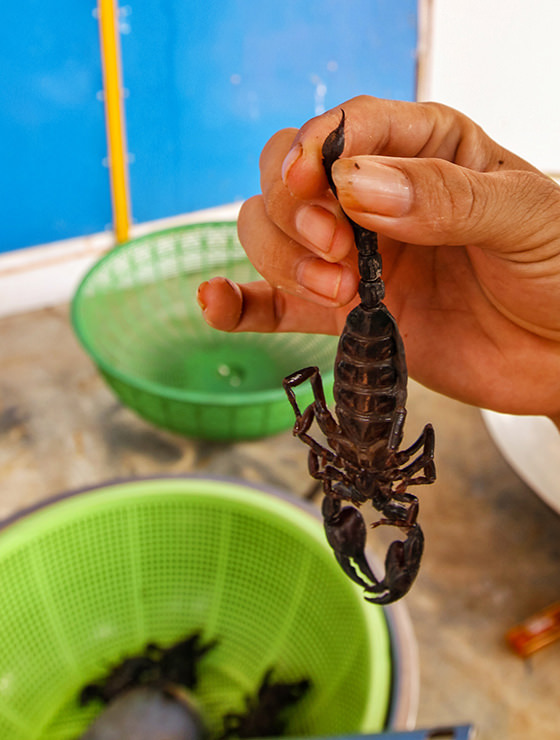 Kim, for instance, grew up among silkworms, water beetles, tarantulas, scorpions, and crickets. It made her develop quite a relaxed attitude towards insects. 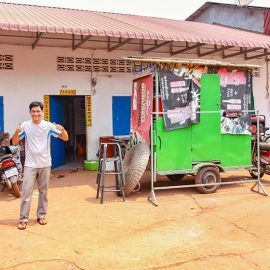 Only when she was 19 and moved to Siem Reap for studies, she found out that tourists have a radically different perception of her favorite snack menu. 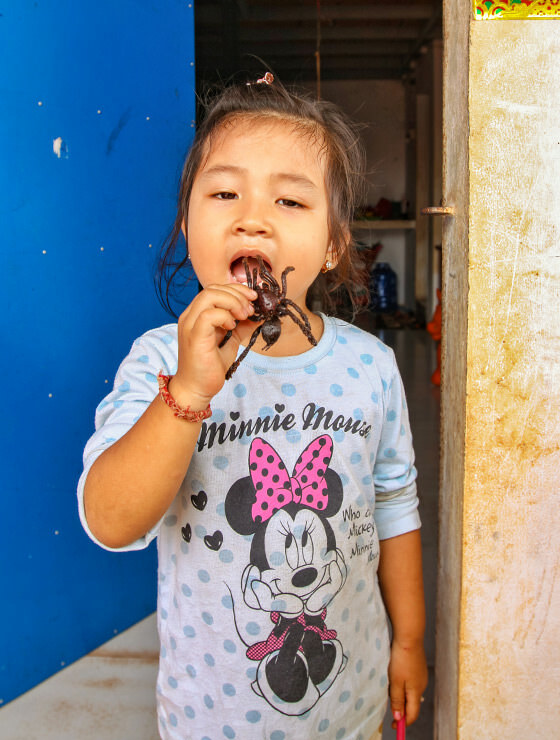 Ratana’s daughter Sing, a three-year-old, is growing up surrounded both by insects and tourists. A soon as we arrive, she starts to sneak around the preparation table. 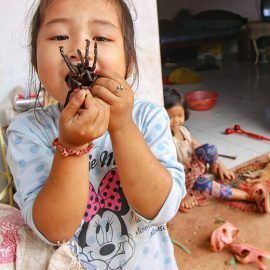 Her father explains she adores tarantulas, and always tries to steal a bite. 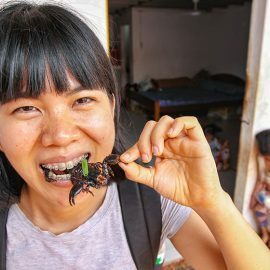 I assume that the tourists applauding to the bravery of a toddler additionally support her feelings of comfort and accomplishment when she starts to chew the fried tarantula’s legs. 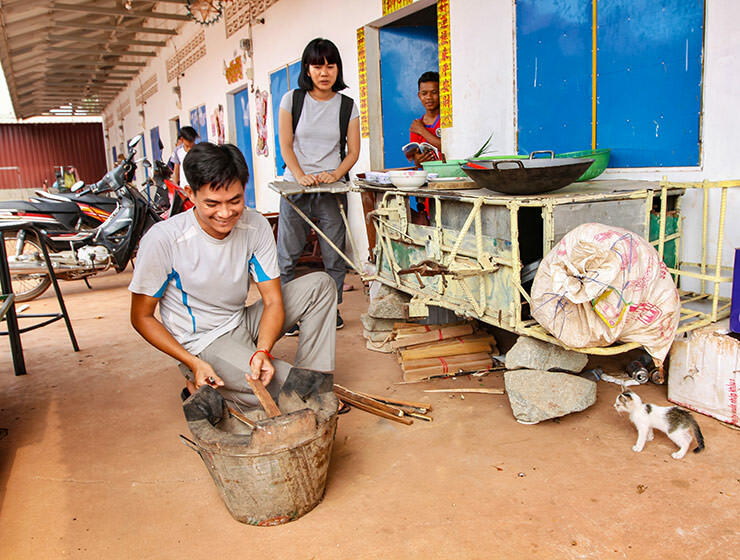 There is one crucial difference between western pets and those Kim is talking about. 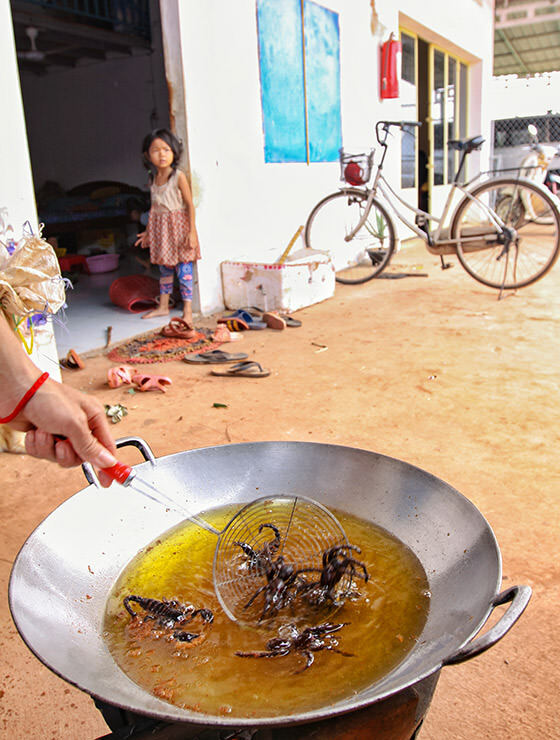 Tarantulas, scorpions, and crickets displayed on Ratana’s table will soon go for a boiling hot bath. They come here already dead, killed by freezing. 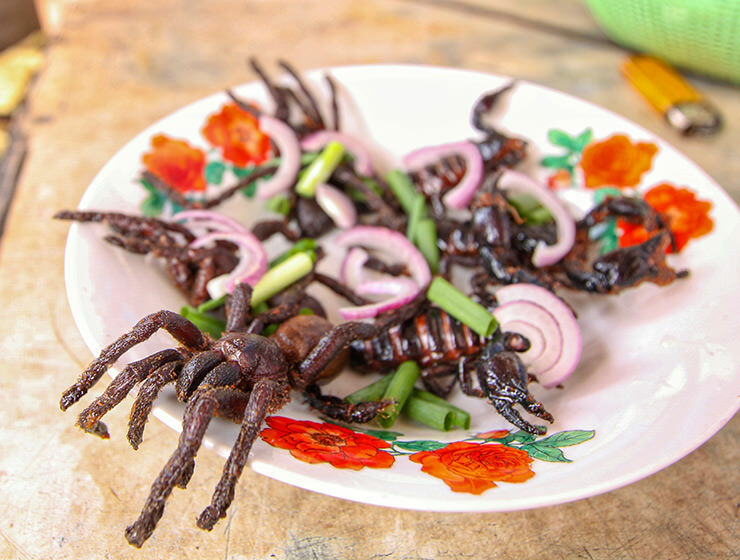 Deep-fried spiders and scorpions are a pretty decent snack! 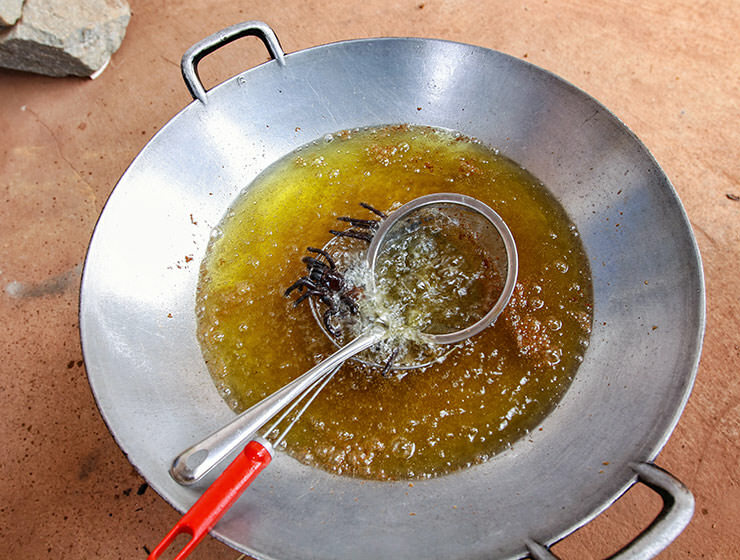 Our chef makes a fire, and places an oil-filled wok on it, for deep frying. 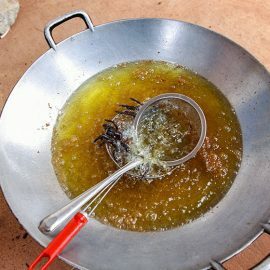 While the insect Jacuzzi gets ready, he dresses them up in a mixture of salt, sugar, flour, chicken bouillon powder, some unidentified seasoning, and egg. Crickets go in first. 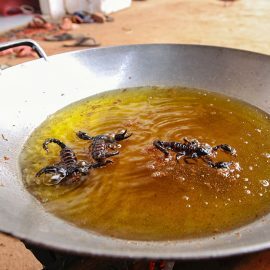 They will soak up some oil, and grow in the process. Tarantula and scorpions go in the second round. They are all served with red onion and scallion. 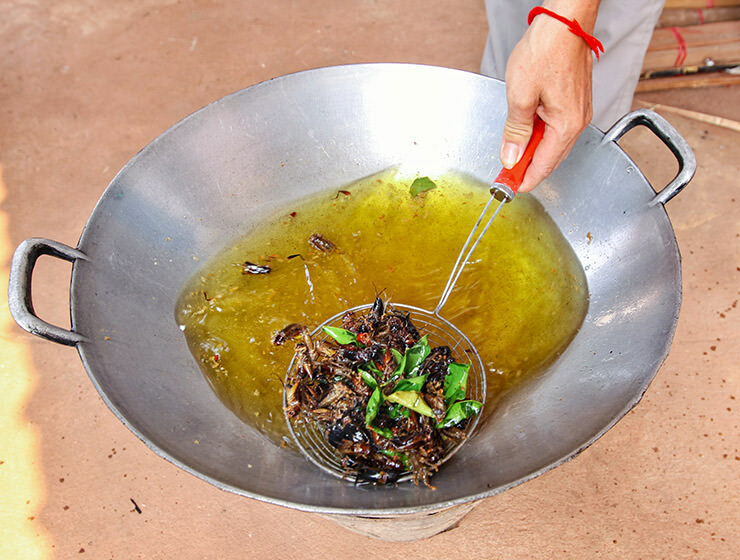 Additionally, we can roll the crickets into a betel nut leaf, and eat them in the form of a mini canapé sandwich. 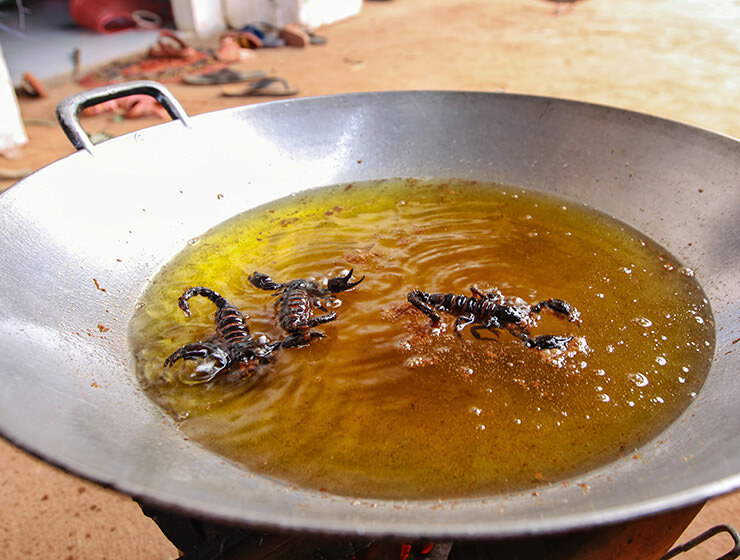 Beware, one should remove scorpion’s and tarantula’s stingers before eating! 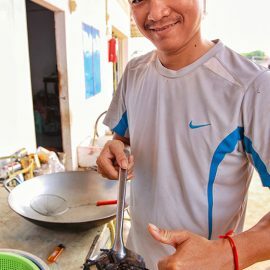 Chef Ratana gives all necessary instructions before he bites into a crunchy insect shell with his truncated teeth. Fear Factor Challenge is a two-hour activity. It happens daily, at 10:00 or 15:00. 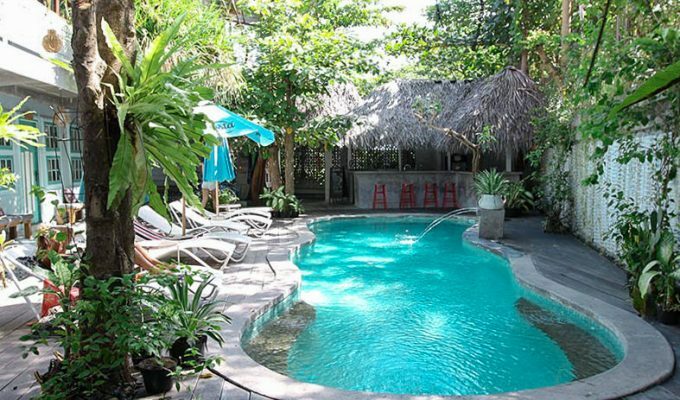 This extraordinary food experience costs 22 USD per person and can be booked through the Backstreet Academy. 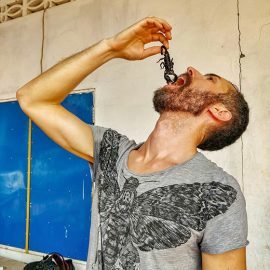 So, how do insects taste like? 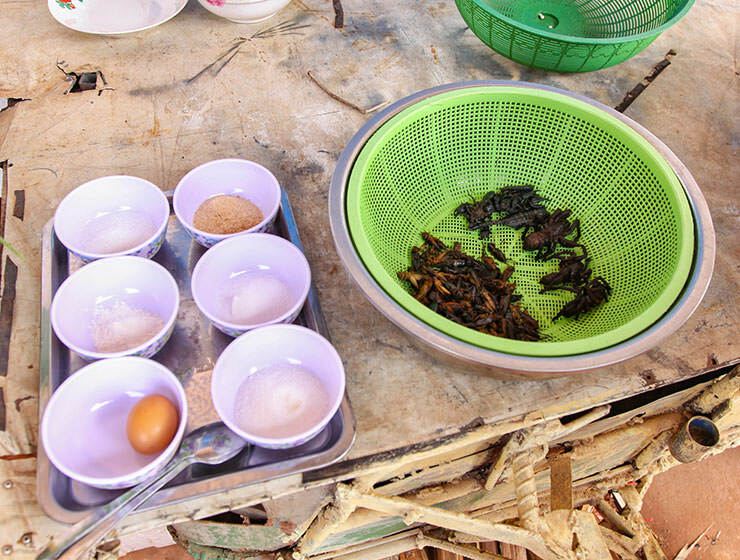 In general, crickets taste like the food they’ve been eating, so the experiences can differ. 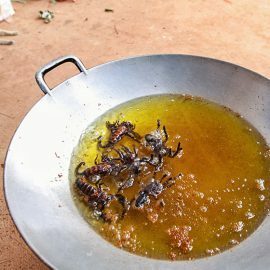 However, frying them accentuates their nutty flavor, making them a perfect snack introduction to Cambodian insect food. 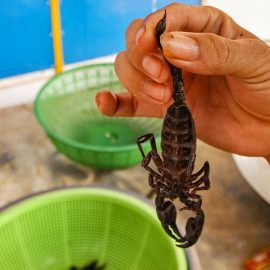 Potato, scorpion, what’s the difference? 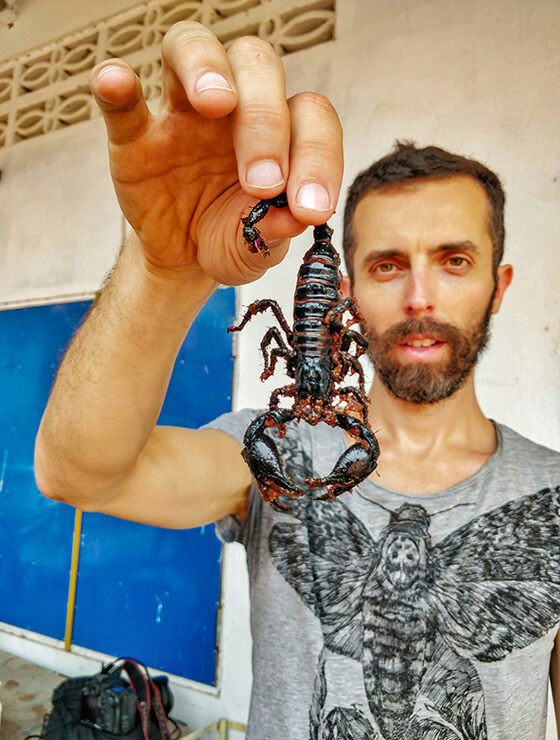 Some parts of scorpion are hard to chew. But this fellow tastes like – potato skins! 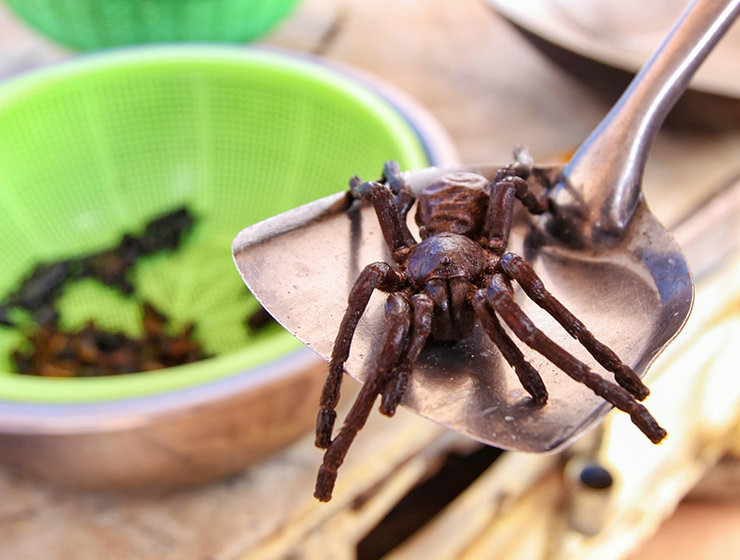 Tarantula supposedly tastes like a potato chip. That’s what Kim tells me about her favorite insect food. I must say I have chosen not to eat it at this Fear Factor Challenge, and not because I couldn’t face my fears. 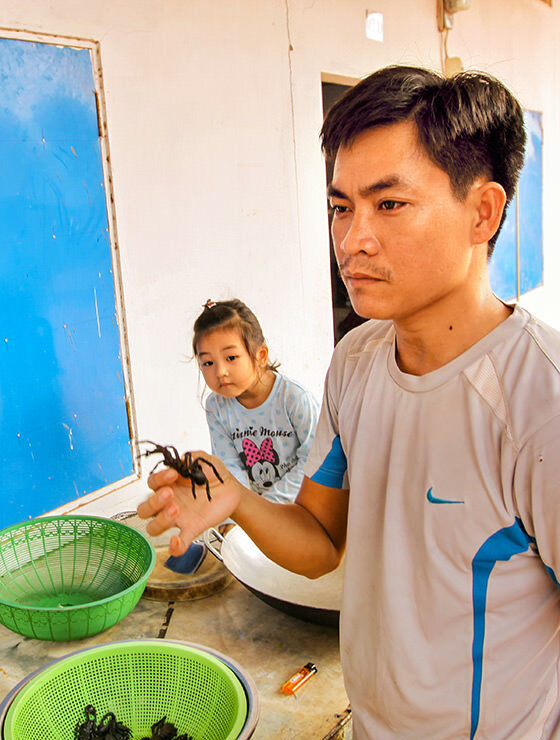 Chef Ratana explains that tarantulas are nearly extinct in Cambodian woods! 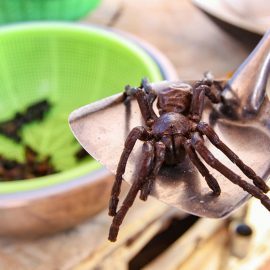 “There is a lot of deforestation going on, and tarantulas are losing their habitat. On the other hand, they are some of the most popular insects, so every day it is harder and harder to provide them”, he explains. At that moment, it felt utterly wrong to engage in eating the spider whose existence is endangered by the same people who eat it. 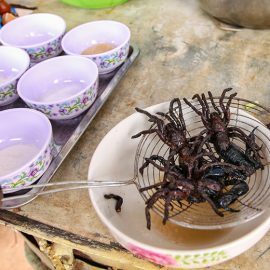 Even if one tarantula lays hundreds of eggs and should be able to reproduce quickly, it seems that the popularity of this Siem Reap food trend becomes its prime enemy. 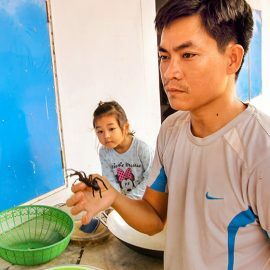 I ask Ratana why he doesn’t try to breed tarantulas himself, instead of depending on those one can find in nature, usually Cambodian national parks. “I don’t know how”, he says. 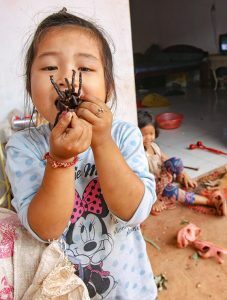 Even if he is six years in this insect business, Ratana is surprised to hear that some Westerners keep tarantulas as pets. He confirms he will research the possibilities of how not to rely solely on his suppliers, and possibly develop his own breeding space for spiders. 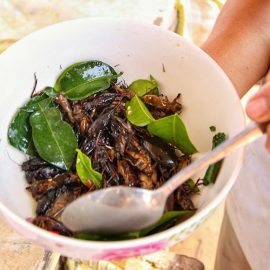 Why does Cambodia love eating insects? 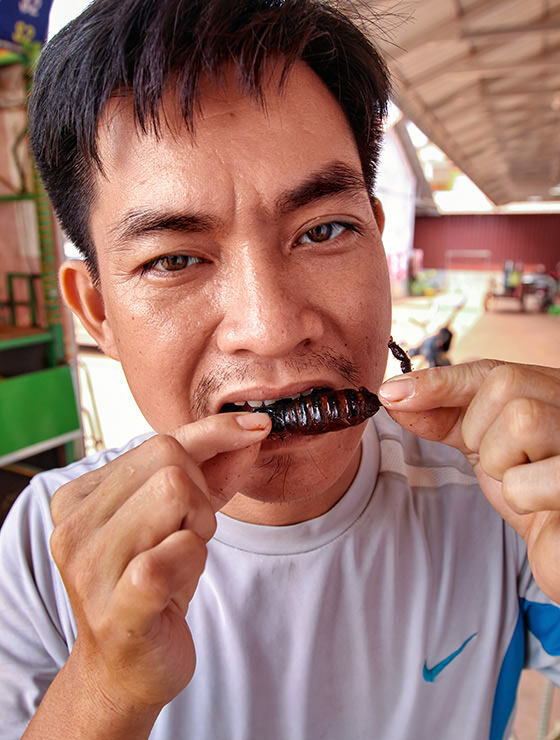 Insect-eating culture in Cambodia was widely established during the infamous Khmer Rouge regime. 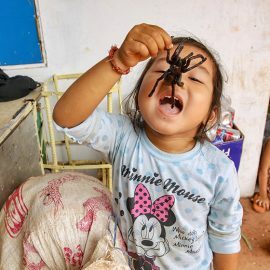 The darkest period of Cambodian newest history, in which Pol Pot’s followers murdered one-fourth of their own population in the 1970s, also introduced a catastrophic agricultural reform which led to famine. If you find the photo disgusting, know that the feeling depends on our cultural habits! 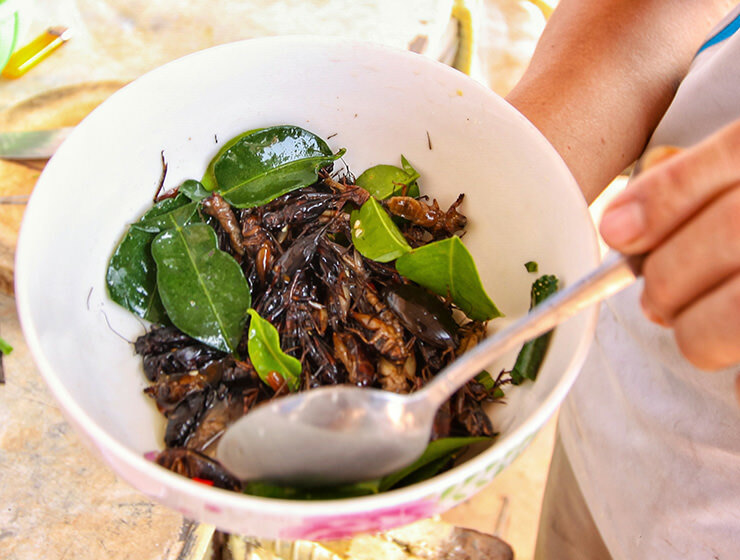 To survive the starvation, Cambodians started eating insects. 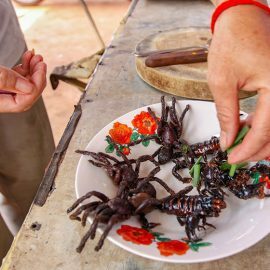 During those hard years, the attitude towards bugs as food was normalized, and afterward transformed into a tradition some don’t want to die off. It is true that humankind is growing each day, and food resources are not keeping up. 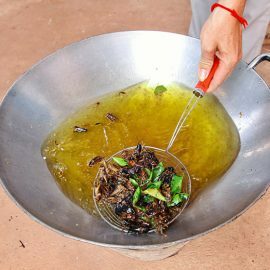 Insects are often referred to as a food of the future, as they are a great source of protein, relatively easy to grow, and do not have a negative environmental impact like, for instance, cows. 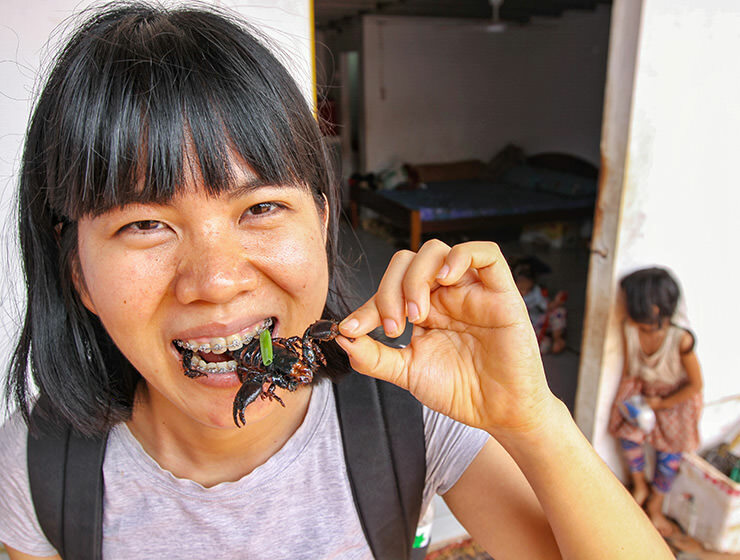 Even if the western mind can look at the practice of eating insects in Cambodia as disgusting and repulsive, in the foreseeable future, we may all be forced to develop a taste for the world of the beetles. Would you rather eat a turtle? 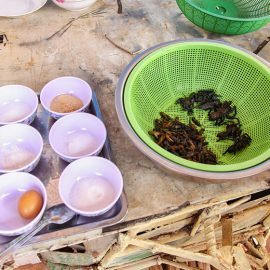 Ratana packs leftover crickets for takeaway. He says I’d may want to snack on them later. But their expiration time is 24 hours, he warns! Our Fear Factor Challenge may have finished, but on our way back to the town center, our tuk-tuk stops at Siem Reap’s Old Market. 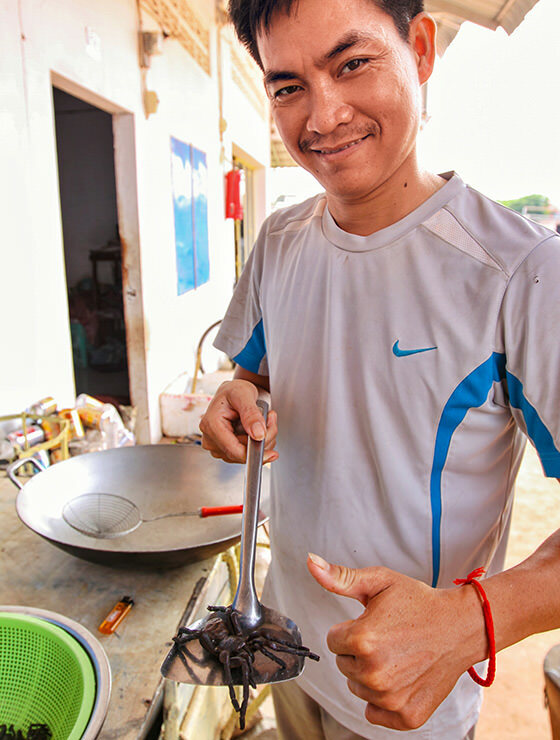 Kim wants to throw in an unexpected extra – introducing me to a duck embryo, another local delicacy. 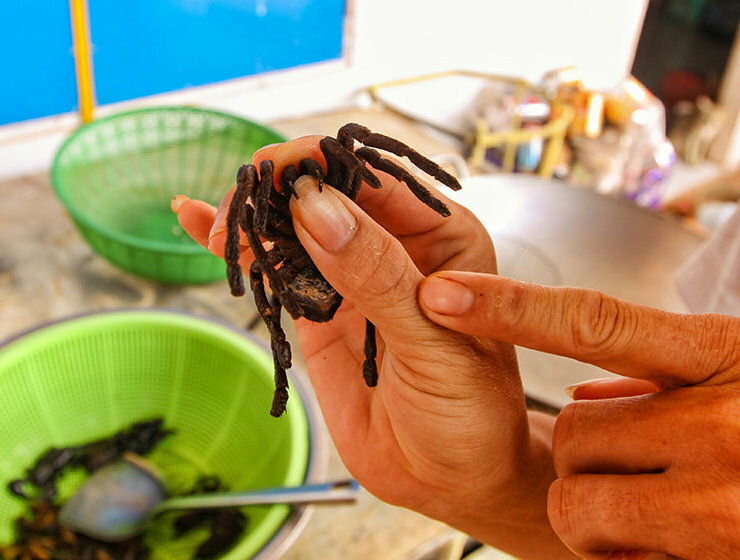 At the market, we find displayed giant water bugs, water snails, plucked sparrows, and turtles packed as lunch boxes. But we do not see the duck embryo. Kim seems to be disappointed. All sellers respond they will arrive only in the afternoon. 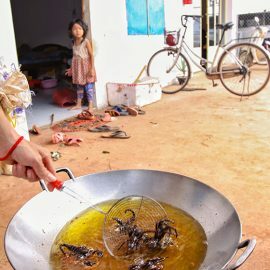 But just a glimpse through this rich variety of animal meat, that Westerners would never even think to eat, confirms that eating habits are just that: habits. Habits change, grow and evolve. 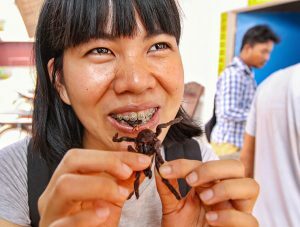 Eating insects in Siem Reap is not an exclusive experience of Fear Factor Challenge, even if it may be the most educational one. 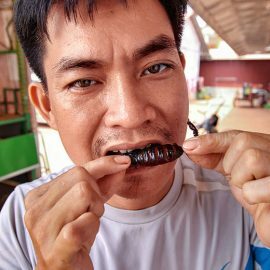 They serve insects as street food snacks at Siem Reap’s famous Pub Street, there is a strictly specialized Bugs Café, with food and drinks infused with crawlers, and some of the best restaurants in Siem Reap are adding red ants as an edible garnish to their meat plates. 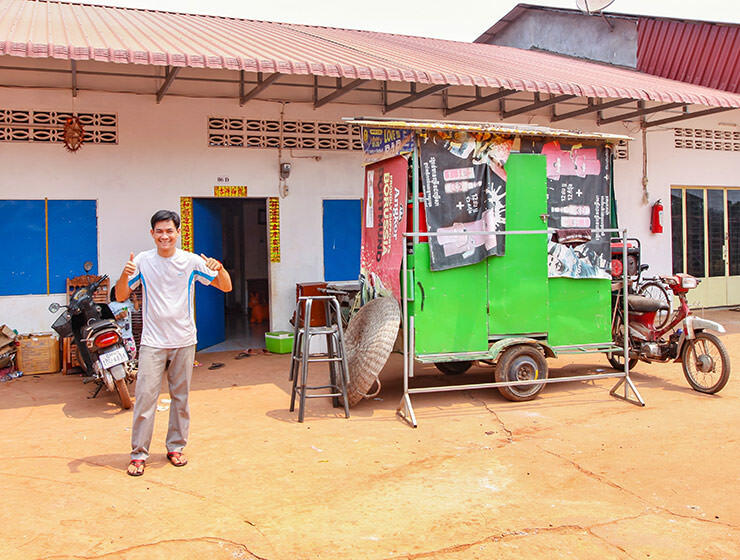 Eating out in Siem Reap has never been so exciting! As long as you put some mosquito repellent on. Disclosure: This post contains affiliate links, which means if you click on them and make a purchase, Pipeaway might make a small commission, at no additional cost to you. Thank you for supporting our work! Man, I’d like to think I’d try about anything food wise, but I just don’t know. Spiders have always creeped me out haha. I honestly don’t know if I could do it. Hey, Dylan! 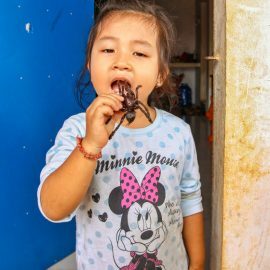 I’m sure I’ve read somewhere that we all eat a certain number of spiders in our life, without even knowing it! Very well written and great pictures. 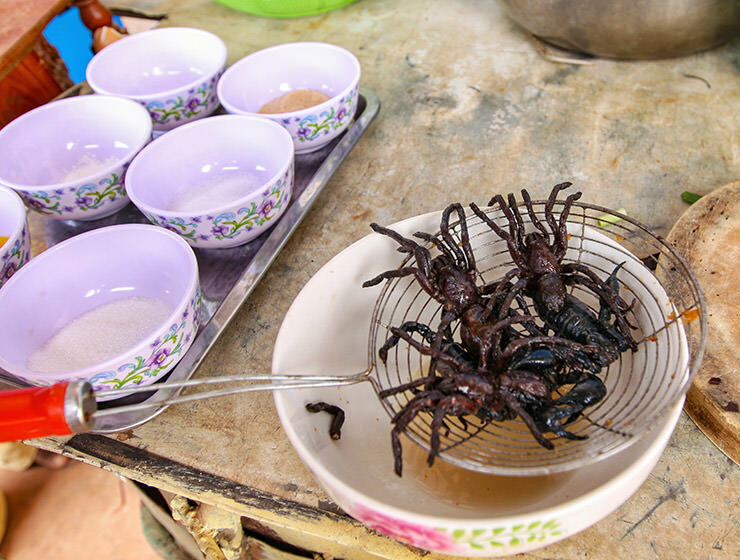 I still can’t imagine eating a tarantula or scorpion but now I understand the cultural context behind it all. Thanks for the compliments, Audrey! 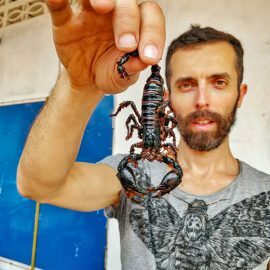 Hi Ivan, That was a very interesting post, and although I probably wouldn’t eat insects myself, I like reading about other cultures and their beliefs. Thanks for sharing. Thanks for sharing your thoughts, Christina! Kindness & corruption : Do tigers eat bananas?